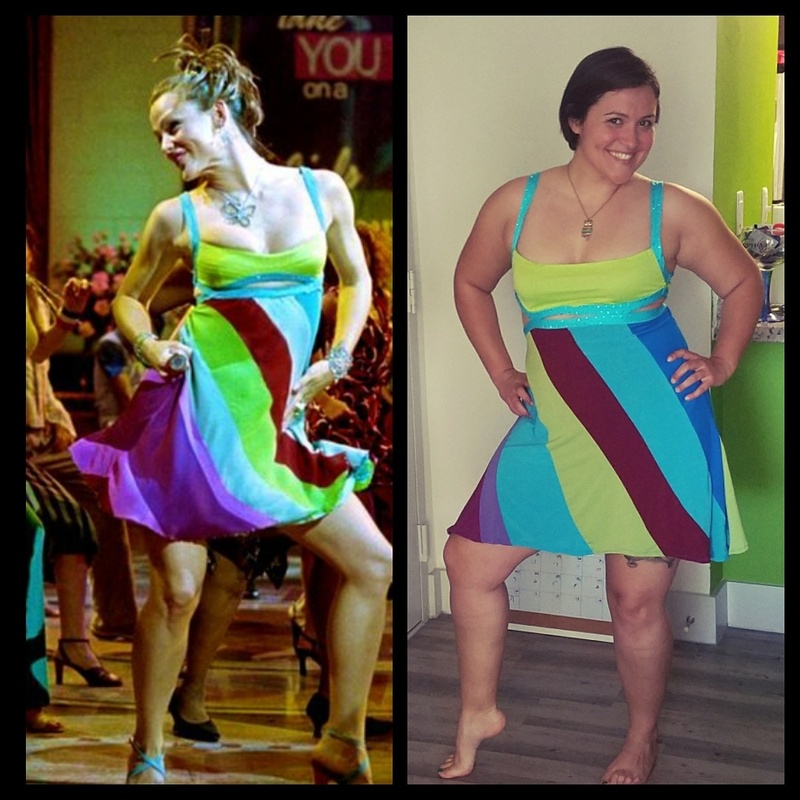 My little sister turned 30 years old this past April and she wanted me to re-create the 13 going on 30 Thriller Dance scene dress because she told me that she loved that movie and wanted her birthday to be thirty, flirty and thriving! The dress is now available for purchase on my Etsy shop for anyone looking to celebrate their special 30th birthday or wear it as a fun party dress! Do u still make this dress? The one I made for my little sister I used a different fabric than the one in the link. And yes I can make one just like my sisters using the same pattern and fabric. Please contact me thru Etsy.. go to the link and click on ‘request custom’ and send me a message so I can create a custom listing for you. I am going to ask my sister if she still has it and is willing to rent it out. She lives in Florida right now and I’m in Chicago but I can connect you to her thru email.